As your little one grows, there are many changes you notice in their bodies. Their hair and nails get longer along with the growing body in general. Similarly, they begin to show signs of a tooth erupting. Usually, teething in infants begins at an average age of six months. But this can range from four to eight months. 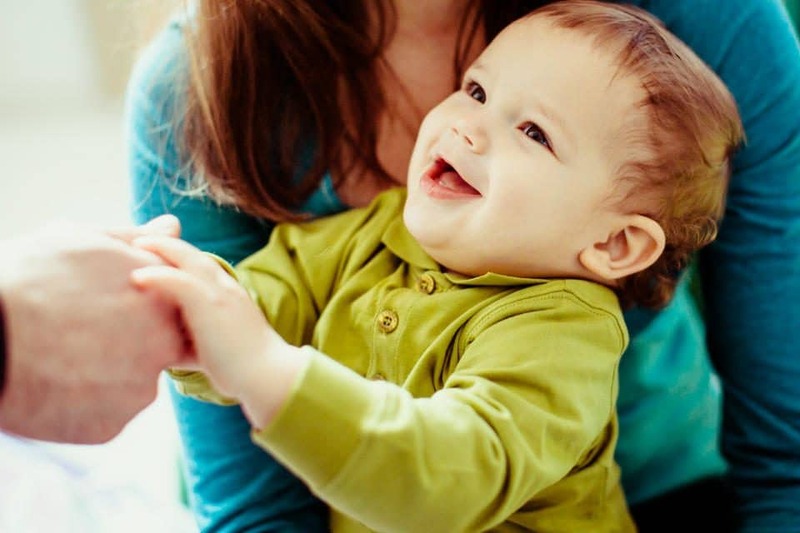 You may have several questions around eruption of the first tooth in babies, how long it takes and what it is accompanied by. Reading further will answer most of your questions. Teething is the entire process of the teeth appearing in a baby’s mouth. It includes more than just a spontaneous appearance of a tooth. It can be considered a systemic process because the whole body shows symptoms of teething in most cases. Swelling of the gums – As the tooth erupts, it pushes through the gums to make its space in the mouth. Most babies have swollen or tender gums. This means that the gums may become red, inflamed and painful. Eruption Cyst – An eruption cyst is like a bag or sac filled with fluid. As the tooth erupts, it will emerge by rupturing this cyst. An eruption cyst is a physiologic development, which means it is harmless and will burst on its own. It requires no treatment. Increased drooling – You will notice that during teething, your little one is showing much more drooling than usual. Change in your child’s behavior- You may experience that during teething, your child will show signs of irritability and impatience. There may even be frequent bouts of crying. Fever – The infant may have a mild fever. (2) However, if the temperature rises much higher, or the illness continues, you must see your dentist. Increased chewing tendency – A child undergoing teething will also show an increased desire to chew on objects continuously. A parent may also notice that the child shows changes in eating and nursing patterns during this phase, with increased hours of staying awake and irregular sleep pattern. While your baby is undergoing discomfort during teething, there are a few things that you can do to ease them. Teething rings, frozen cloths or cold frozen food are remedies that will help your infant feel better after they chew on these things. For tender gums, you can gently massage the gums with your finger. To manage excessive drooling, use a thin, clean cloth to keep the lips clean. Do not wipe it too aggressively as that poses a threat of developing rashes. If you see continuous high fever or any rashes developing in your child, visit your doctor immediately. The primary teeth, also called the deciduous teeth are the set of teeth that precede the permanent teeth. There are twenty of these in total, ten in each arch. Most deciduous teeth fall off naturally at different ages to make way for permanent teeth. These are smaller in size as compared to teeth of the permanent dentition. The exact time of eruption varies for all children. It depends on the growth rate and genetic build-up of the child. However, the average age of eruption of the first tooth in a baby’s mouth is six months, ranging from three to nine months. The deciduous teeth erupt in pairs. The first teeth that you will see in your child’s mouth are the lower front teeth: central incisors. The upper central incisors follow the lower centrals. They are slightly larger than lower incisors. According to the standard sequence, the lateral incisors erupt after the centrals, one on each side. The first molars erupt at during twelve to eighteen months of the age, one in each quadrant. The canines, which are also called the cuspids erupt between the lateral incisors and the first molars. The last primary teeth to appear in your child’s mouth will be the second molars, which are the last teeth on each side. These erupt from two to three years of age. By the time your child is in their third year, most of their primary teeth have erupted. Always remember that there is no fixed age for the eruption of a tooth, and the body’s growth pattern influences it. As the teeth erupt, you may notice variations in their sizes, shape, and position. Keep note of these and a regular follow up with your child’s pedodontist is advisable. It is imperative to form and maintain a habit of disciplined dental visits for your child. For this, it is never too early to begin. Remember the golden rule- visit your pediatric dentist as soon as you see the first tooth erupting in your infant’s mouth. It may seem silly to visit the dentist for such a small sized half erupted tooth, but you must do it. The dentist can examine and explain guidelines for keeping the child’s teeth clean. Your child may show anxiety and unwillingness to see a dentist, but the fear of treatment must be overcome at an early age. This will help them develop a good habit of regular dental visits. Remember as the teeth erupt and until your child begins to accept toothpaste, always keep the teeth clean by wiping them with a soft cloth. Especially after any meal or feeding, wipe your child’s mouth thoroughly. Keep control over the sweet intake of your little one, and avoid feeding them sweets in between meals. At about six years, the primary teeth begin shedding off sequentially. By thirteen years of age, all of the deciduous teeth are replaced by permanent teeth. While nothing can be generalized about teething behavior or the exact age of eruption of teeth, these guidelines will help you prepare for the primary teeth eruption. The period up to three years is important for the development and eruption of the primary teeth.